Happy First Anniversary, John Lewis! 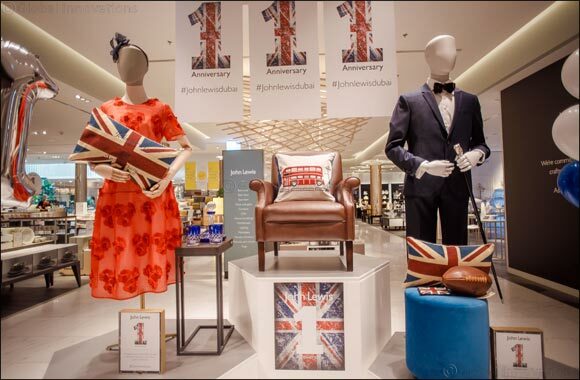 Dubai, UAE, April 7, 2018: The high-end brand “John Lewis” got into the festive mood on March 29th celebrating its first anniversary in Dubai. The iconic store celebrated a morning of entertaining activities, which were initiated with an introduction speech by the General Manager Mr. Adosh Sharma from 11:00 to 11:30 am. The real party mood started at 11:30 with revealing the birthday cake along with a delightful English brunch. The diverse activities comprised of three workshops that ranged from an etiquette session to a baking class. The guests engaged in learning all the secrets of baking delicious cupcakes with our 'Master of Cupcake' baking class. Those who were curious to find out more about table manners such as table setting and the proper etiquette for handling utensils, enjoyed an exceptionally informative session with our 'British Royal Table Manners' workshop. The remarkable set of workshops concluded with tips and advices for enjoying a perfect night's sleep. John Lewis is on the second floor of Robinsons Department Store.